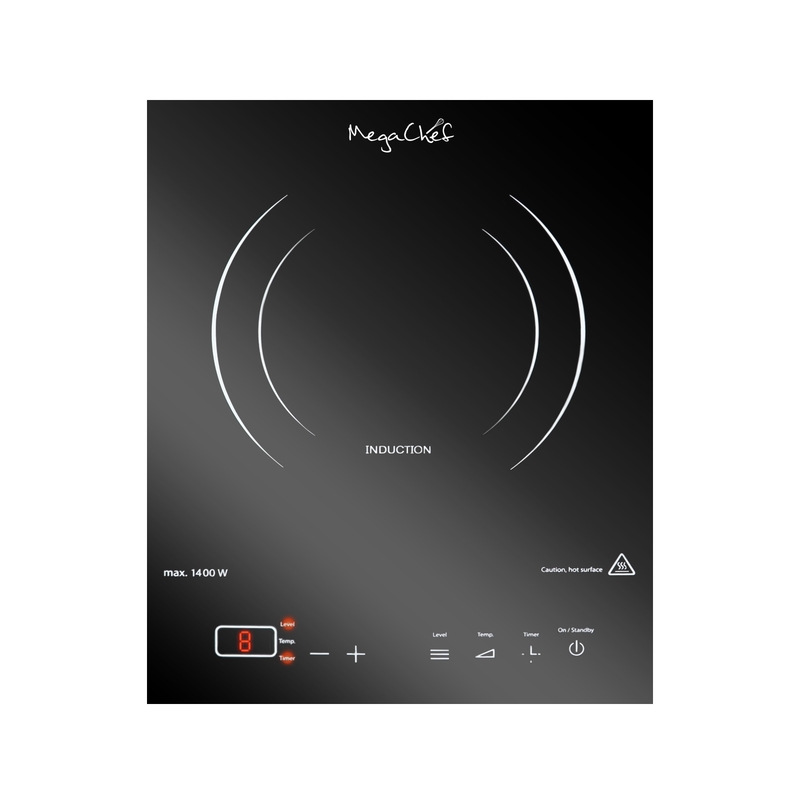 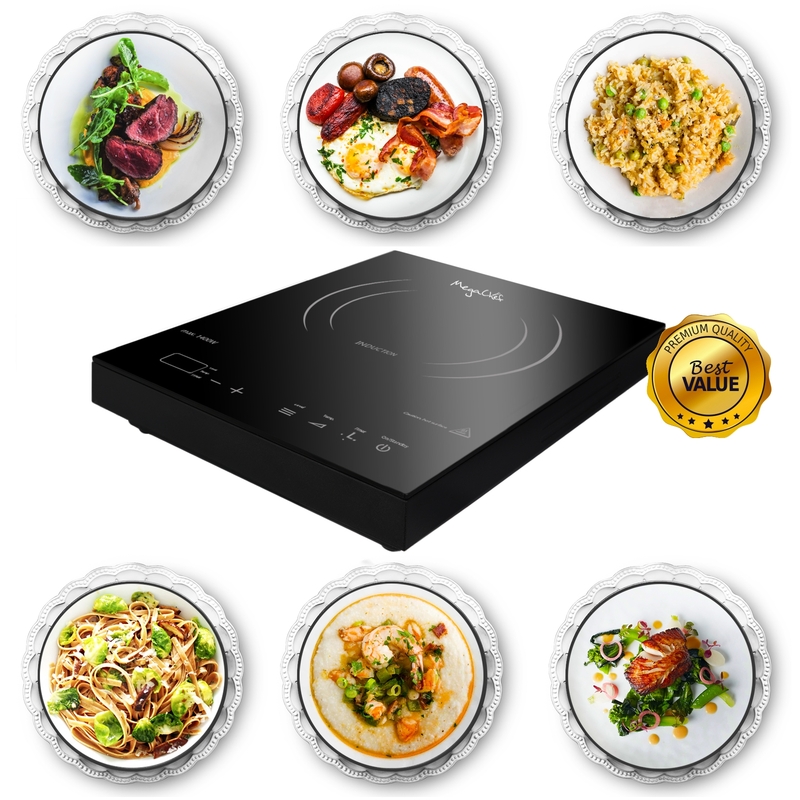 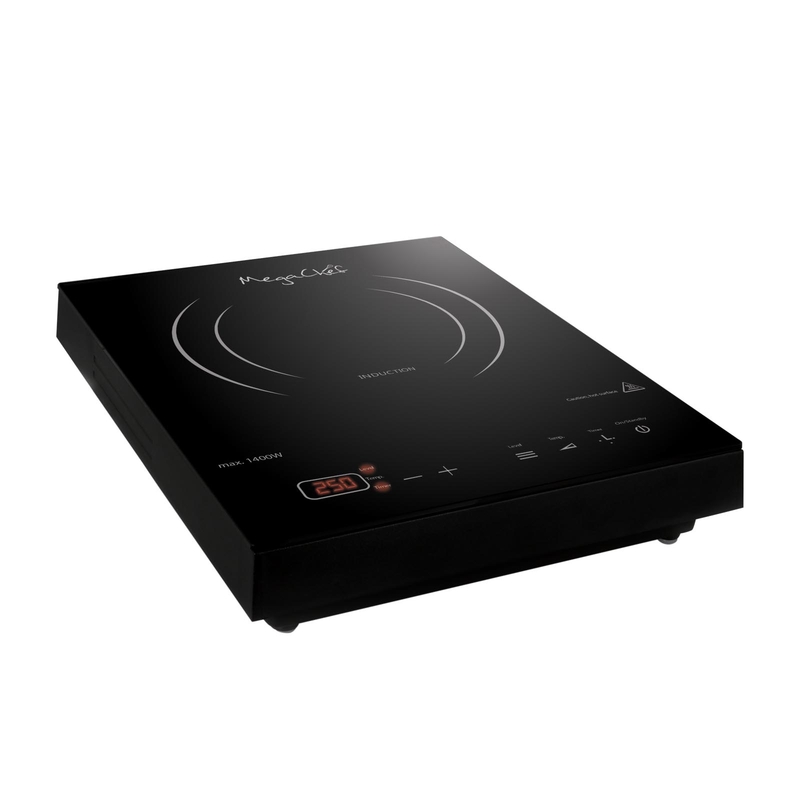 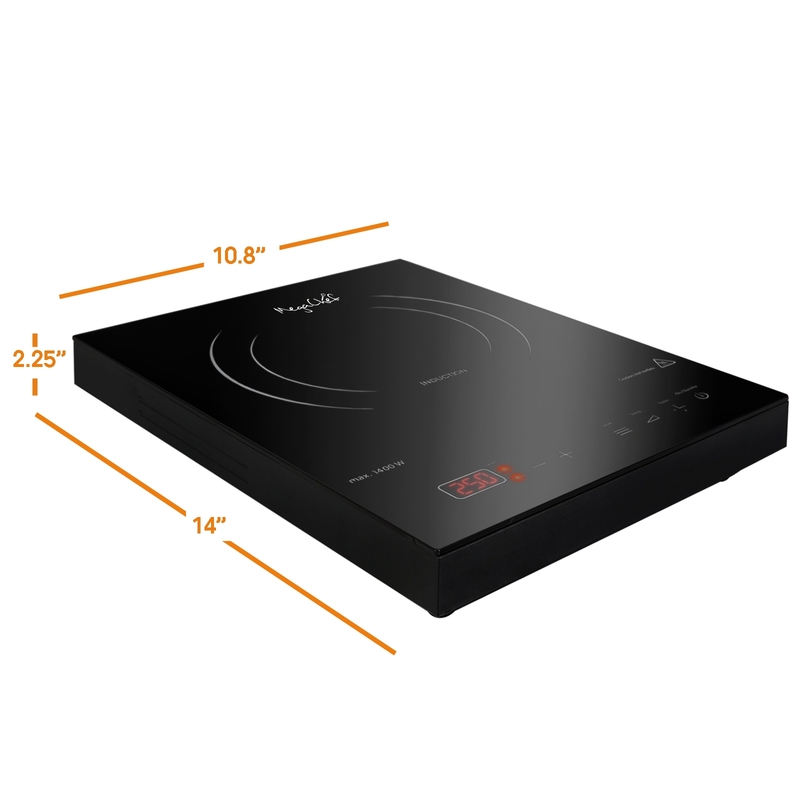 The Megachef Portable Single Hob Induction Cooktop is specifically designed for ease of use. 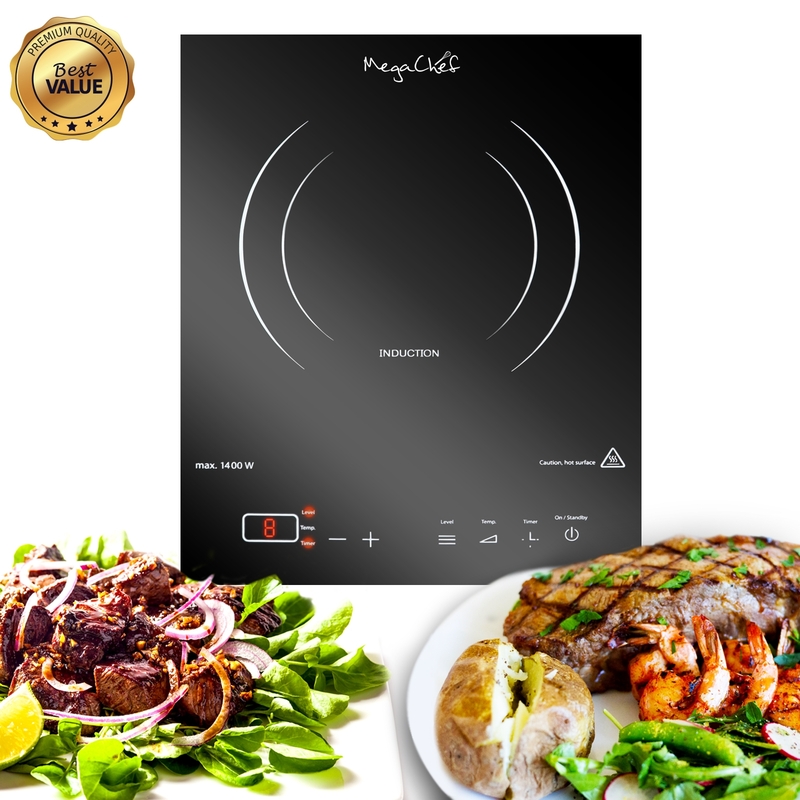 This unit is 100% portable and can be placed wherever there is an outlet, which renders it ideal for camping, barbecues, or special occasions. 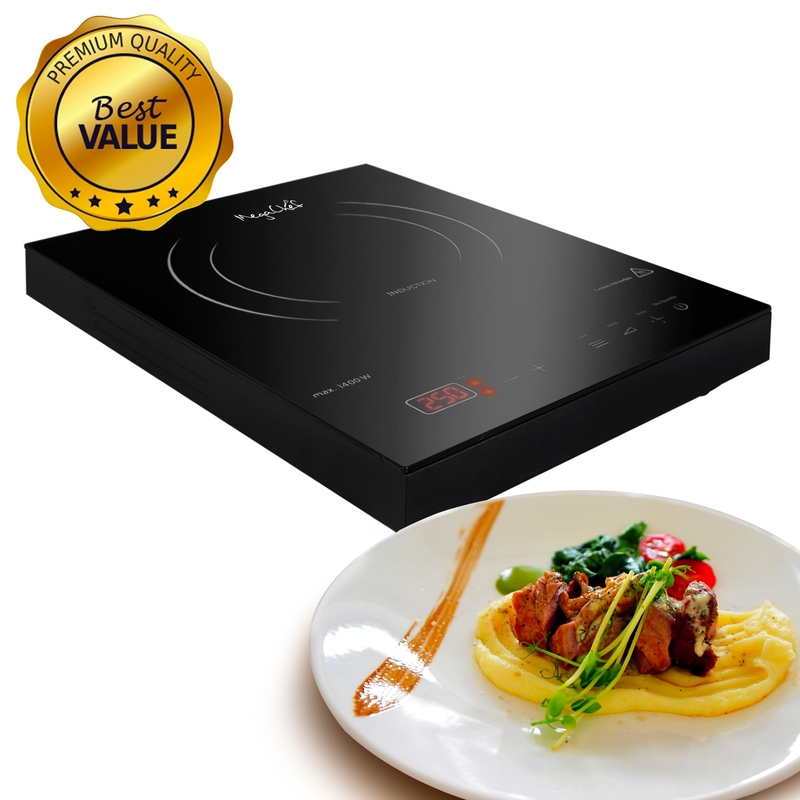 Additionally, this appliance is a safer and more efficient alternative to traditional cooking methods. 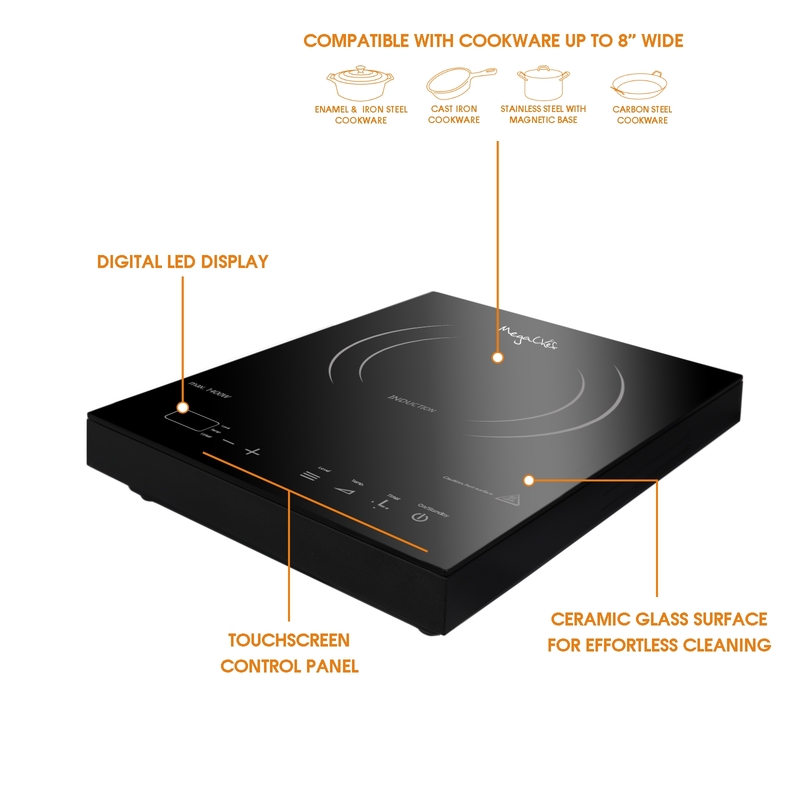 The induction technology greatly reduces the risks of burning and fire associated with gas or electric cooktops, and is highly energy-efficient. 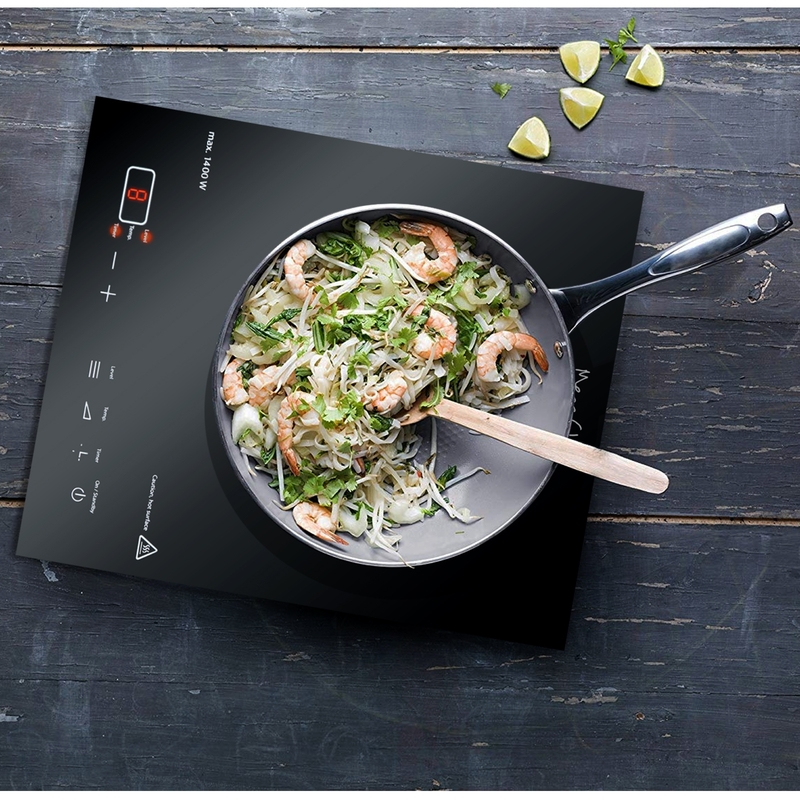 Furthermore, because it uses electromagnetic fields to create heat, the induction cooktop heats up faster than its counterparts, making it an all-around must-have! 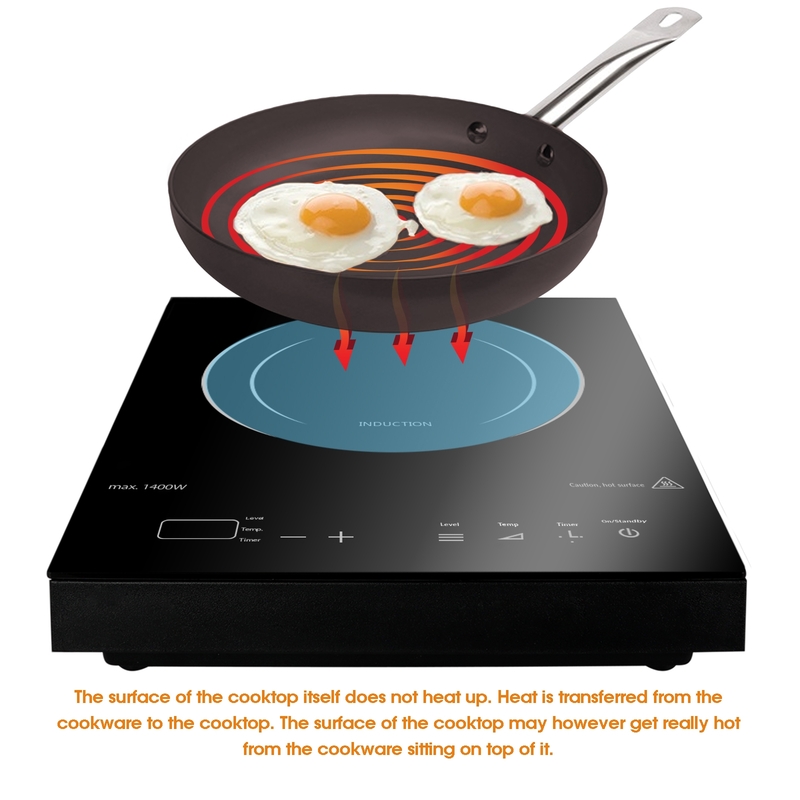 The induction cooktop requires induction compatible cookware to operate. 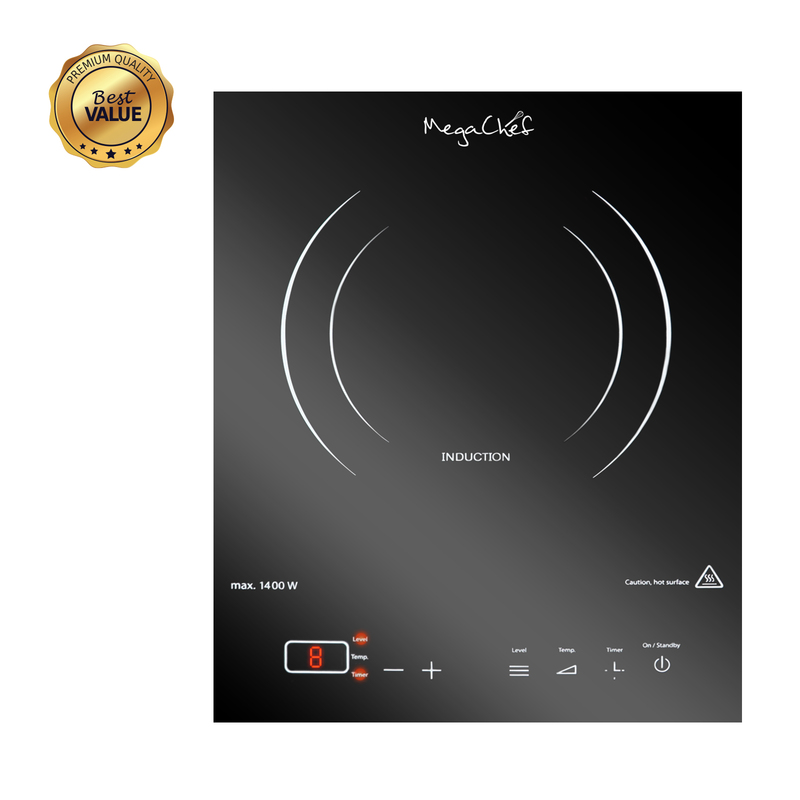 **The magnetic fields generated during operation may lead to adverse effects. Pacemakers, or other similar implanted devices may be affected.